You are currently browsing the tag archive for the ‘Colin Bell’ tag. Some preamble: I was fairly daunted when I was asked to jump in and cover A Book A Day… for a post. As a habitual reader of his site, I was intent on ensuring that I got the full Emmet O’Cuana experience by following the house rules and reviewing a book that I had completed over the course of a twenty-four hour period (this was despite Emmet giving me close to a month’s notice to put this post together). With that, I diligently set about settling down to enjoy Fred Hoyle’s science-fiction standard The Black Cloud; before abandoning it in a fit of disinterest as I moaned to my wife about ‘diagrams having no place in a novel’. I’m being harsh – The Black Cloud is undoubtedly a good book, but I was struggling to keep focussed on it enough to finish it in a day. With this realisation, things were looking grim for my contribution to ABADTICS (which is a great acronym), and I soared dangerously and embarrassingly close to turning in a review of Ted Hughes’ The Iron Man, knowing that I could at least cover it in one afternoon, possibly fifteen minutes if I didn’t stop for tea and biscuits. 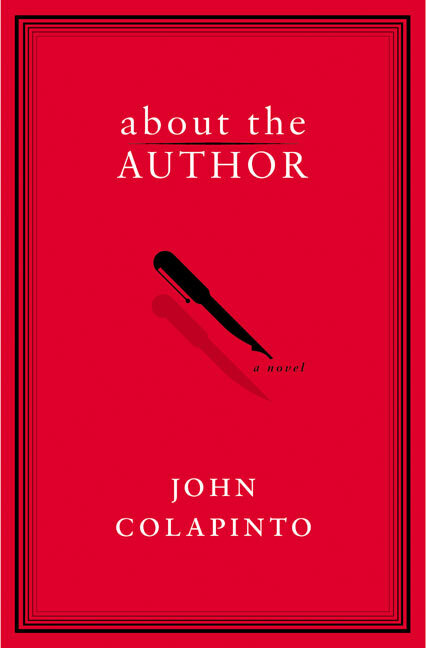 Scanning my book shelves, I was drawn to John Colapinto‘s About the Author – a book I picked up in my teens, read once and then recommended to everyone else for the next eleven years. For all the books that have come and gone in my personal library over the years I’ve never considered parting with it, based on one memorable reading of it in what seems an age ago. With that in mind, I was interested to see how an older, wiser and infinitely more cynical version of my young self would find it. For reasons that will become obvious, I find it difficult to write about Stewart. Well, I find it difficult to write about anything, God knows. But Stewart presents special problems. Do I speak of him as I later came to know him, or as he appeared to me before I learned the truth, before I stripped away the mask of normalcy he hid behind? For so long he seemed nothing but a footnote to my life, a passing reference in what I had imagined would be the story of my swift rise to literary stardom. Today he not only haunts every line of this statement, but is, in a sense, its animating spirit, its reason for being. About the Author tells the story of lothario bookstore clerk Cal Cunningham. Cal prides himself on his aspirations of bestsellerdom but lacks the literary inspiration to achieve it, so when the opportunity to pass his dead roommate’s manuscript off as his own work of genius, he does so with little hesitation and to wild success. In true ‘…but the past ain’t through with you‘ fashion however, the decision haunts the rest of this story. Wielding themes of identity, envy and ambition, in hindsight it shares much in common with Patricia Highsmith’s The Talented Mr Ripley, but differs in that this thriller expands to more psychological Hitchcockian proportions. As our hero spirals further out of control in his quest to keep his misdeeds secret, he finds himself living a proxy of the life of the man whose work he stole, and refreshingly things escalate in a way that never seems forced or trite. Most of the supporting characters are lightly sketched to varying degrees of effect – a rambunctious literary agent comes across just right in his one-note shallowness, but he’s the only character that truly works in spite of not being fleshed out. That said, there’s enough conflict in our main character’’s actions and thoughts – the story is told from Cunningham’s viewpoint – for Colapinto to sink his teeth into, and it makes for a compelling read overall. The envious and ambitious traits of the lead character certainly struck a chord with me in my latter-day blogger guise. One thing that surprised me as I reviewed this retrospectively was how I interpreted the protagonist’s actions when I was younger – Cal Cunningham is no longer some enfant terrible anti-hero as I once saw him, in fact now he just strikes me as a pretentious jerk. Whether this is a concious choice by Colapinto or not, I’m not sure, but the fact that the book works despite my dislike of its hero is testament to the author’s plotting and ability to ratchet the tension from zero to panic in a stroke. Hollywood agreed to an extent – a film adaptation has been languishing in development limbo since publication despite a script from the reliable Patrick Marber. About the Author remains to this date John Colapinto’s sole fictional novel, and that in itself is a shame. A substantial cut above your beach holiday thriller fare, it’s well worth seeking out and heartily recommended. However, heroically reading a book in a one day and then blogging about it I’ll leave to the professionals. Colin Bell writes over at It’s Bloggerin Time – go pay him a visit. 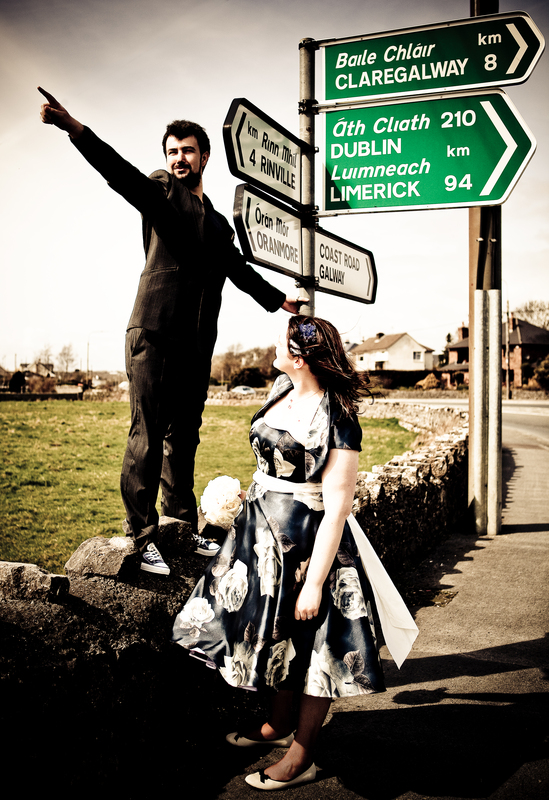 A year ago today Stephanie and I were married in the small village of Oranmore outside of Galway city. It was a beautiful day, shared with family and friends (also the sun deigned to visit us as well). Next Friday we will renew our vows so that relatives who were unable to attend our original wedding, what with being on the other side of the world and all, can join us in publically declaring our love for one another a second time. I have a big favour to ask. See on April 15, almost one year after Stephanie and I were married, we have decided to hold a renewal ceremony so that our friends and family here in Australia can attend. Last time we did the deed in Galway and that’s quite a ways away from the placid surroundings of Bulli New South Wales. Now weddings take time to arrange, much random things can occur, so I thought keeping to my usual schedule of a book a day would prove difficult. We never expected that it would take this long, which was one of the reasons we delayed having a ceremony like this until it became obvious we would be passing our first wedding anniversary. What I propose is this. I am asking for each of you to write a review on a book of your choosing and forward it on to me before the end of the month. I do not expect you to stick to the same restrictions as myself, so no worries, this is not meant to be a speed-reading gamut. Also write as much as you want, totally up to you. I will schedule the reviews as a series of ‘guest reviewers’, on the site. If you have a blog of your own or a project you wish to promote, this could be a platform for you. In the introduction to each piece you could say a few words about yourself and describe what it is you produce. Never fear, there is no pressure here with this request. I am going to be mailing a large number of fellow book lovers and bloggers, so if this proposal is not feasible for you I understand. Just send me a mail to this address stating whether or not you’re interested. Either way, cheers for your support of the blog, it’s been great fun for me to write. The kindness and enthusiasm of the responses I received really touched my heart. My inbox is now full with reviews from all over the world, from Australia to Korea, Scotland across to my old stomping grounds in Dublin. I do not have words to express my gratitude. Below I am listing the order of these ‘guest blogger’, reviews, which will be starting from tomorrow. My thanks to everyone who is taking part – Stephanie and I are going to enjoy the rest. Thursday 14 April – Colin from It’s Bloggerin’ Time!